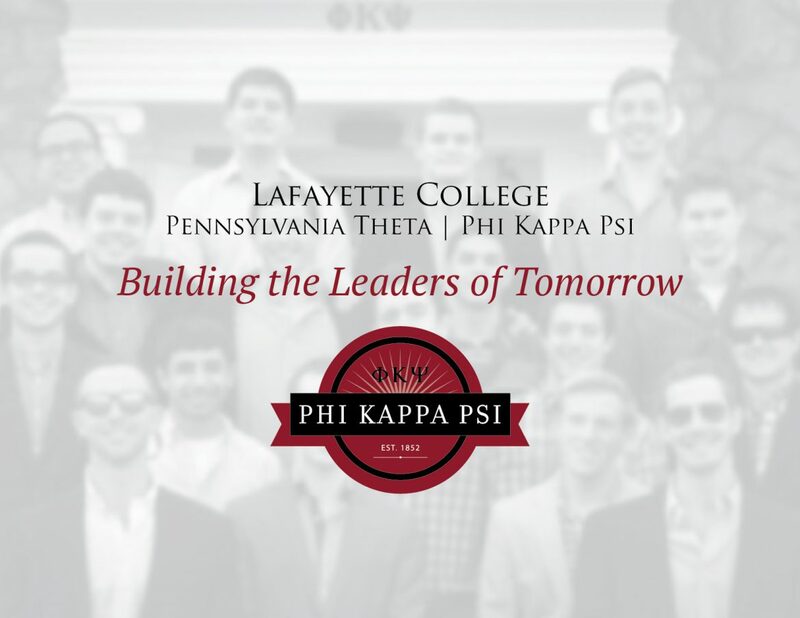 In the 150 years since our founding, Penn Theta has adapted to the changing needs of college men as well as the evolution of our partnership with Lafayette College. Today, a shift is happening on campuses across the country that directly affects fraternities and encourages us to adapt once again. Plainly stated, college administrators, trustees, fraternity alumni, parents and students are expecting more out of fraternities. Significant policy and attitude changes are beginning to separate those chapters that contribute positively to the college experience from those that view their reason for existing as purely social without regard for a higher purpose. Fortunately, our undergraduates are among the best within Lafayette, Phi Kappa Psi, and the country. Penn Theta is a high-performing chapter and won the National Fraternity’s coveted Grand Chapter Award in the summer of 2017. If we want to maintain this momentum and success, we must not rest on our laurels or become complacent. The Penn Theta House Corporation assembled an alumni committee to take stock of our chapter’s current condition from a housing, scholarship and leadership development perspective. They identified opportunities deemed essential to position Penn Theta for years of excellence in the face of these increasing expectations and in pursuit of our core fraternal mission, Building the Leaders of Tomorrow. To maintain our status and position the chapter for future success, the Penn Theta House Corporation, on behalf of the undergraduate chapter, is undertaking a comprehensive $550,000 fundraising campaign centered on Building the Leaders of Tomorrow by creating a leadership programming endowment, increasing the chapters academic scholarship endowment and maintaining a safe, modern chapter facility through an increased operational fund. Don't wait to take action and impact our future. Your gift has the power to change the lives of many.